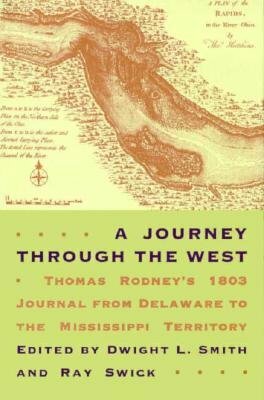 In "A Journey through the West," Thomas Rodney writes vividly about flea-infested taverns, bad roads, drunken crew members, squatters, Indians sodden berths, food from the wild and treacherous waters. His is one of the most detailed early-nineteenth-century travel accounts. Rodney, a Revolutionary War patriot and veteran, had been active in Delaware politics and had served in the Continental Congress. In 1803, President Thomas Jefferson appointed him as a land commissioner and a territorial judge in the newly formed Mississippi Territory. To assume his duties, Rodney and a small party traveled overland from Delaware across the length of southern Pennsylvania to Wheeling, (West) Virginia. From there, they boarded their newly constructed boat on the Ohio River and rowed, sailed, and drifted along the borders of (West) Virginia, Ohio, Indiana, Illinois, and Kentucky. Finally they left the clear rapids of the Ohio and entered the muddy yet majestic Mississippi. They traveled southwesterly into a vast, exotic wilderness valley. The western shore of the Mississippi was still owned by Spain, and foreign soldiers were spotted. Under pressure to meet Rodney's deadline for arrival in Mississippi Territory, the travelers were grateful for the Mississippi's fast current. Yet in the journey's last days they were faced with adventures and with near disaster when their boat struck a snag and partially sank. Rodney kept a precise journal and sent letters to President Jefferson documenting his trek from the settled East through the barely chartered paths of the western wilderness. He hobnobbed with Meriwether Lewis, enjoyed the hospitality of Harman Blennerhassett, and received a tour of Cincinnati from Arthur St. Clair. Dwight Smith and Ray Swick have compiled, edited and annotated Rodney's story to present it in complete form for the first time. "A Journey through the West," is both a travel adventure and a colorful glimpse into the life of his day. 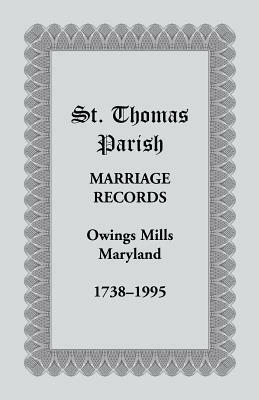 Author: edited by Dwight L. Smith and Ray Swick. Description: In A Journey through the West, Thomas Rodney writes vividly about flea-infested taverns, bad roads, drunken crew members, squatters, Indians sodden berths, food from the wild and treacherous waters. His is one of the most detailed early-nineteenth-century travel accounts. Finally they left the clear rapids of the Ohio and entered the muddy yet majestic Mississippi. They traveled southwesterly into a vast, exotic wilderness valley. The western shore of the Mississippi was still owned by Spain, and foreign soldiers were spotted. Under pressure to meet Rodney’s deadline for arrival in Mississippi Territory, the travelers were grateful for the Mississippi’s fast current. Yet in the journey’s last days they were faced with adventures and with near disaster when their boat struck a snag and partially sank. Dwight Smith and Ray Swick have compiled, edited and annotated Rodney’s story to present it in complete form for the first time. A Journey through the West is both a travel adventure and a colorful glimpse into the life of his day.